The team at TravelMedia.ie has worked with many high-profile clients over the years. Please see below for testimonials from clients TravelMedia.ie have worked with in the past, find out why we are the best travel public relations company for their needs. We are well-known in the travel industry for organising highly successful and professionally run events. Find out what past sponsors and attendees think of these events – read road show testimonials, networking event testimonials and USA event testimonials. I have had the good fortune to work with Michael and his team for 18 months, during which time his commitment, enthusiasm and professionalism never ceases to amaze me. He is in every way the consummate pro, attentive to detail, always follows through, produces content of the highest quality, knows his industry like few and knows more people than most. He has also managed to assemble an amazingly dedicated team who work in his ethos. I sincerely hope to continue our fruitful partnership in years to come and I can whole heartedly recommend Michael and his company to anyone looking for a strategy media and/or PR partner. I could not have asked for a more memorable way to retire. I had planned a quiet exit without any fuss. I didn’t realise how much I would enjoy all the fuss and the opportunity it gave me to say goodbye to so many of my colleagues going back over many years. Thank you everyone for my award and for looking after me so well on the day. I hope the next recipient will enjoy their award as much as I have. A huge thank you to Michael Collins and all the TravelMedia.ie team, who have been a fantastic support to us. Michael, in particular, has shown us the ropes of how to navigate the travel industry. I couldn’t recommend them enough. It has been an absolute pleasure to work with Niamh, Michael and all at TravelMedia.ie. Their expertise and knowledge are second to none and the results after working closely with them for two months have been absolutely fantastic. We really look forward to working closely with them again on the next project. Thank you all at TravelMedia.ie for your help and support. 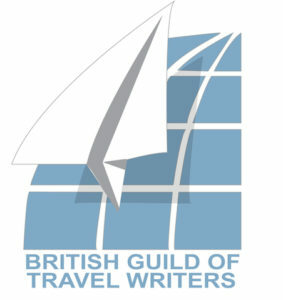 Michael and his team have run a Twitter Trending campaign at ourannual British Guild of Travel Writers Gala Awards Dinner at The Savoy for two years in a row, and have achieved amazing results. The object is to generate a buzz around the event itself (frequented by ministers, ambassadors and CEOs in the tourism & travel industry), the award winners, and the sponsors. The goal is to trend on Twitter in London on the night before World Travel Market opens – a goal they have hit easily both times, reaching over 5m Twitter accounts on both occasions. 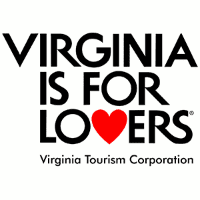 We love working with them. We signed up TravelMedia.ie to be our social media partners for three of our annual conferences as we had found Michael and his team to be extremely professional, imaginative and accommodating in all our dealings with them prior to that. It made perfect sense for us to delegate that important but time-consuming role to someone whom we knew would be a safe pair of hands and optimize our brand exposure across all social media channels in what is an extremely busy event for us. When you have TravelMedia.ie on your team, you can relax in the full knowledge that the job will be done and done right. We have worked with TravelMedia.ie since July 2016 and have no hesitation in giving them the highest recommendation. Michael/Niamh actively listened to our requirements and tailor-made a measurable action plan to achieve our objectives: website visitors and social media. I was particularly impressed with their personable approach, ease of manner and the flexibility of services offered to our company. Niamh managed the project and her attention to detail, enthusiasm, commitment, and authenticity was outstanding. Thank you for a fabulous event in Dublin. Our Governor was very impressed and he was able to make some wonderful connections. It was a pleasure working with such a professional team and everything you managed was executed with pure perfection. It has been a pleasure working with Travelmedia, they really are an extension of our team – always acting with our best interests first and foremost. They are consummate professionals at what they do and are the experts when it comes to amplifying a brand from all angles. Ireland’s top travel press and PR company. Travelmedia.ie represents an efficient and effective way for Interhome to improve its social media footprint, while at the same time managing localised commercial relationships in the Irish Travel Trade. They have been essential in cementing Interhome’s place as an accommodation-only supplier to the Irish market and we are excited about the incremental business we believe we can generate in 2016. Since April we have trusted Travelmedia with our social media management, and have seen excellent growth over and above expectations, and we look forward to transforming our fan-base into a loyal client base. Sue and Michael from TravelMedia.ie undertook a major SEO project for tmb.ie after we hit by Panda 4 (Google) in June 2014. Thanks to Sue’s sound advice we rebuilt tmb.ie from scratch and implemented a blog and content marketing strategy, where after 6 months we were back at the top of organic search rankings for all our major keywords. I would definitely recommend Sue and Michael for any SEO project, big or small. TravelMedia.ie has been a great partner over the last several years. They have a deep understanding of the travel industry and an incredible network of influencers and press in Europe. Not only that, they produce top quality video content with an amazing turn around time. TravelMedia.ie has expanded Phocuswright’s reach and branding in Europe much faster than we could have done on our own. We look forward to working with them for years to come! TravelMedia.ie has been handling our PR in Ireland for four years and we have a lot of praise for their professionalism. They have successfully and smoothly organised numerous events for us. Deadlines are met, budgets are kept to and messages get delivered to the right journalists. TravelMedia.ie has been an invaluable support to us, the France Tourism Development Agency, for maintaining and increasing our presence on the Irish market. TravelMedia.ie knows, and networks with, an unbeatable network of journalists and people, which they are able to then use for the benefit of any travel company or brand willing to develop a successful PR strategy in the Irish market. TravelMedia.ie understood very early on the power of social media and how it would revolutionise PR. They master the use of any social media platform (from Twitter to Vine video) and they have helped us tremendously in implementing a successful social media strategy – from creating attractive content to making our press events more efficient. Last but not least they are a joy to work with. As much as they have attention to detail and dedication on any project, they know it has to be fun! And that‘s what great PR is! TravelMedia.ie is an excellent PR and media consultancy, who have had a definite impact on our company’s bottom line by ensuring we grabbed media attention over the last 8 years. I highly recommend TravelMedia.ie to any travel organisation trying to establish a relationship with the press in Ireland. Niamh has been excellent to work with. Competent, proactive and extremely responsive. Thanks for your help and keep up the good work! We have been using TravelMedia.ie for the past 5 years in relation to our PR, SEO, social media strategy, media buying, radio and other offline promotions and the help in securing exceptional deals and managing our brand presence both online and offline has been very much appreciated as we drive our multi brand leisure strategy forward. Michael Collins of TravelMedia.ie has been engaged as the official PR representative for bmi since February 2009. During this time, we have found TravelMedia.ie to be extremely professional and innovative in their approach to our PR needs in Ireland and we are delighted with the level of media coverage and activity that has been achieved to date. I would have no hesitation in recommending TravelMedia.ie as a company who will suit any PR requirements or needs. Great company to work with. Very professional and hard working. Highly recommend Michael and his team. I consider the event to be simply the best media lunch I have ever attended! Well done and I look forward to continue working with you. 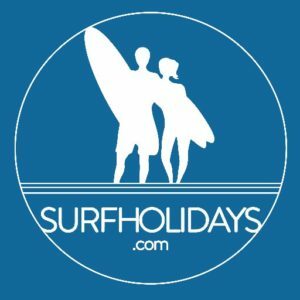 We hired TravelMedia.ie in 2008 to help us give our brand, surfholidays.com, a bigger profile in the Irish marketplace. In times when spending money on PR and Marketing is never easy hiring TravelMedia.ie proved to be a very good decision and the team ensured we got the coverage we needed. I would have no problem recommending the TravelMedia.ie team to any company looking to target growth in the Irish marketplace. TravelMedia.ie (sic) has represented A Taste of Rome in Ireland over the last year in a public relations capacity, and we can say that their work on our behalf has been 1st class and a complete success, we had virtually no presence in Ireland beforehand and since their involvement Irish guests now account for almost 40% of our reservations , and this can only be attributed to TravelMedia.ie’s hard work, dedication, ideas and imagination. Having met with TravelMedia.ie, we were impressed by their knowledge, drive and modern thinking in a ever changing public relation world, which we are sure has given us the edge over our competitors. WestJet used TravelMedia.ie to help launch our brand and new service to the travel trade and media in 2014. TravelMedia.ie organised two very successful events for us, in Belfast and Dublin. We found them to be very professional and proactive. We were delighted with the success of the events they organised for us. Michael and his team were a pleasure to work with. We continue to work with them on an ongoing basis. These client testimonials are just a flavour of the feedback that we get from the organisations and individuals that we work with. TravelMedia.ie specialises in PR for the travel trade. We work very closely with our clients to understand their businesses and goals. Our experience of working with the industry, along with our expert PR team, mean that our clients are happy to recommend us as the best travel public relations company in their experience.